The Retina Department at Danbury Eye Physicians & Surgeons and Greater Waterbury Laser Eye Physicians & Surgeons evaluates and treats a wide variety of retinal diseases including macular degeneration, diabetic retinopathy, vascular occlusions, macular holes and puckers, retinal tears and detachments, eye floaters, macular edema, complications of cataract surgery, uveitis, etc. Our retinal surgeons use state of the art diagnostic equipment for the treatment of our patients. Our office is equipped with a Heidelberg ophthalmic camera and the latest version of optical coherent tomography (OCT) imaging. We offer high-speed indocyanine green angiography in addition to standard fluorescein angiography. 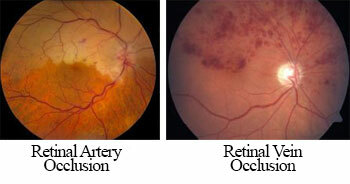 This enables our physicians to tailor retinal treatment specifically to the needs of our patients. Our digitalized imaging system studies are performed by our highly skilled certified ophthalmic photographers. Our retinal physicians are actively involved in cutting-edge clinical research. We are currently participating in multiple clinical research trials focused on macular degeneration, diabetic retinopathy, branch and central retinal vein occlusions, and uveitis. All current clinical studies related to the retina are multiple center clinical trials and allow our patients to receive and be involved in the most up to date treatment options offered for retinal conditions. 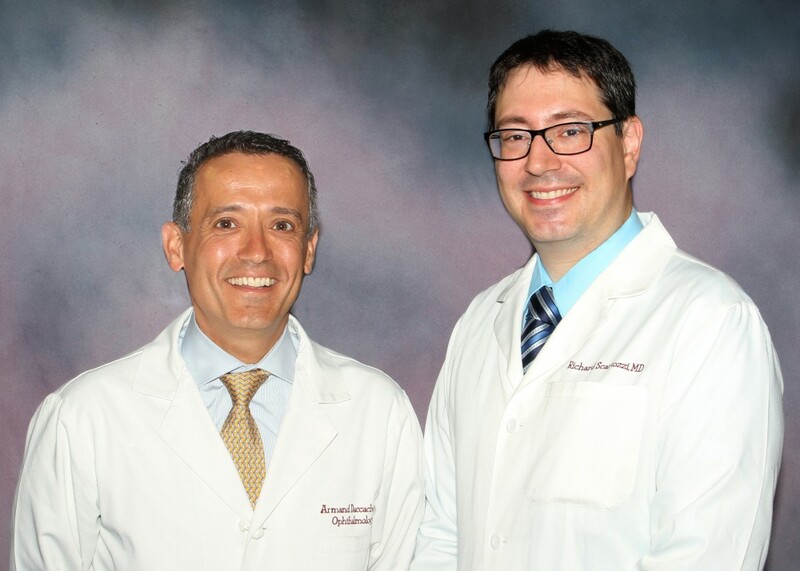 Armand Daccache, M.D., Richard Scartozzi, M.D. This disease is a leading cause of blindness in those above age 65. Macular degeneration affects your central/reading vision and starts with the dry form where aging spots in the central retina (macula) called drusen are seen. 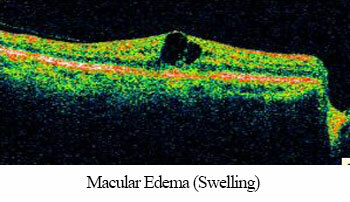 If one develops bleeding, swelling, and scarring in the macula, then one has the faster-moving wet form. Recent advances in the treatment of wet macular degeneration have made this an exciting time for retinal specialists, by allowing us to provide our patients with new office-based treatments to prevent vision loss and maintain a high quality of life. Our participation in clinical research trials for wet and dry macular degeneration gives us an opportunity to provide high quality, cutting-edge care to our patients. We provide the latest therapies including Avastin, Lucentis, and Eylea. We are also the only retina specialists in Western Connecticut to provide macular degeneration eye vitamins to our patients: Focus Macula Pro. Our patients have access to this high-quality, research-based, affordable eye vitamin based on the AREDS formula. 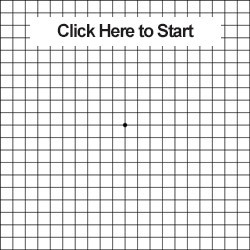 The Amsler Grid can be very effective at detecting early stages of macular degeneration. It can be done at home by clicking on the image below and following the instructions given. IMPORTANT- using the chart does not mean you should skip regular visits to your eye doctor. The chart should be used to monitor your vision between visits. This disease is a leading cause of blindness in the working-age population. Patients lose vision from abnormal retina blood vessels that leak, bleed, and scar. We offer the latest cutting-edge treatment for this condition. In-office treatment includes various eye lasers and/or injections of medicine. Surgical treatment includes sutureless small gauge (minimally invasive) vitrectomy surgery. 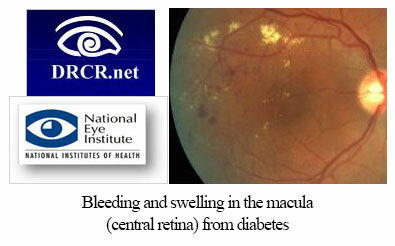 We are also the only center in Western Connecticut to participate in the Diabetic Retinopathy Research Network (DRCR.net) which is part of the National Eye Institute/National Institutes of Health. Our Retinal Surgeons are skilled in offering the latest in-office treatment for retinal artery occlusions and retinal vein occlusions. Treatments for the latter include various eye lasers and/or injections of medicine including Avastin, Lucentis, and steroids like Ozurdex. Our Retinal Surgeons offer sutureless small gauge (minimally invasive) vitrectomy surgery to treat these two diseases that affect one's central vision. The latest version of optical coherent tomography (OCT) imaging allows us to detect and monitor these conditions in their earliest stages before more permanent visual damage is done. New/worse eye floaters and/or flashing lights in one's vision and/or a curtain/veil in one's vision constitute an urgent ocular issue. 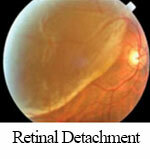 This could indicate the presence of a retinal tear or retinal detachment. Retinal tears are treated in the office with laser or freezing treatment urgently to lessen the risk of retinal detachment. 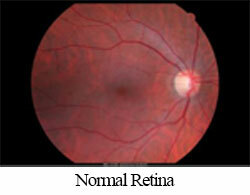 Retinal detachment can be a rapidly evolving disease that can cause permanent blindness if not treated. Retinal detachment is treated with in-office procedures or with surgery in the operating room depending on its severity. The retina doctors at Danbury Eye Physicians & Surgeons and Greater Waterbury Laser Eye Physicians & Surgeons have experience treating the most complex forms of retinal detachment. FOCUS Select is a high-quality premium supplement that contains essential vitamins and minerals to support macular health. Focus Select is made in the United States (of domestic and imported materials) and extensively tested in an FDA-registered facility to ensure a premium product. Based on the latest research on AREDS2 (Age-Related Eye Disease Study 2) it proved that these supplements help lessen the likelihood of vision loss from age-related macular degeneration (AMD), which is one of the most common causes of vision loss in the elderly population. We offer Focus Select supplements in our offices. Ask your eye doctor if Focus Select is the best choice for you at your next appointment or call 1-203-791-2020. Cataract surgery complications are uncommon, but we are skilled in treating all of them: endophthalmitis (infection), retained cataract fragments, dislocated intraocular lenses, uveitis (inflammation), macular edema (swelling), retinal detachment, choroidal detachment/hemorrhage, etc.